I have been teaching constitutional law for about eight years now, both a long version (two semesters, six credits) and a shorter version. Herewith I offer some opinionated views about what one may want to know before teaching constitutional law. Unlike Scott's post on civil procedure, this one will be light on resources and heavy on opinions. Others may differ in their views, and I welcome comments. This post is intended primarily for new teachers of constitutional law rather than experienced ones. In the interest of discouraging folks who have Googled "Alanis Morissette," I have used "ought to" rather than "oughta" in the title. 1) Your class goals should be same as the goals for other classes. The most frequent complaint I hear from law students, and not just those in my class, is that after one semester or one year of law school they have gotten a sense of how the law and legal doctrine work, and constitutional law has nothing to do with any of that. In the other classes, they learn "the law." In constitutional law, they learn history, political science, political theory, and so on. Anything. Everything. Just not the law. They're wrong, God love 'em, but it's important for new constitutional law teachers to understand and respond to this complaint. Law students don't always realize just how much "law" is thrown into constitutional law along with all the highfalutin theory; and they don't always realize how much theory is implicit in what they learn in other courses, although the long and seemingly stable course of common-law development in those courses may lead them to think that there is a single "law of torts" or "contract law." You might tell your students that just as the law in those fields developed slowly over time, such that it now often seems relatively stable, but along the way took on and continues to deal with many basic policy and theory disputes, the same thing is true of constitutional law, albeit at a rate that is so rapid by comparison that the policy debates float more visibly on top. Still, what they're doing in this class is still "law," whatever the hell that is. On the other hand, as a structural foundation for the government that underlies and makes possible much of the rest of the law school curriculum, constitutional law is also particularly a forum for discussion of fundamental and conflicting values. To understand that, it is useful to think about it in terms of broader questions of government structure, history, and political theory. That doesn't mean that those who start with no such background are at a tremendous disadvantage; that gap narrows pretty quickly. But students who want to understand constitutional law as a matter of legal doctrine need to understand some of the competing values that launch the whole enterprise. Those students may be comforted to know that the time they spend on those kinds of questions will pay off in a better ability to engage in doctrinal analysis, especially in close cases. 3) Avoid cynicism. Because of law students' (false, in my view) belief that other areas of law have a clear and stable doctrine while constitutional law is just politics by other means, it is easy for them to become cynical about constitutional law. That's fine and reasonably well-deserved, but a little cynicism goes a long way. Constitutional law is about politics, but it's a constrained form of politics. Those students who think it's all made up should at least realize that it is not made anew every day. The same fundamental arguments and premises come up again and again, recurring in different contexts. I am still not crazy about the second chapter of the Sullivan/Gunther casebook, which just teaches McCulloch and U.S. Term Limits, the results of the latter case having almost nothing to do with anything else we learn in class. But they do serve as evidence that the same questions and positions about sovereignty manage to survive and go at each other as much today as they did 200 years ago. Don't pretend to your students that constitutional law is devoid of politics -- of course, it isn't -- but don't encourage them to achieve heights of cynicism that aren't yet merited by their relative lack of knowledge and experience. 4) Choose your book wisely, although it won't help. Complaints about the casebook are legion in constitutional law as they are in most subjects. I won't say "ignore them," but I will say don't worry about them. But do think carefully about what kind of constitutional law course you want to teach, because the casebooks vary widely in their approach. Do you want to teach a historically oriented course? One that takes place largely inside the courts or one in which constitutional law is also something that takes place and is shaped outside the courts? Do you want lots of cases or just a few? Lots of scholarly references or almost none? 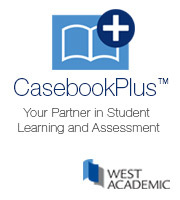 Students tend to prefer case-based coursebooks that are light on note cases, squibs, comments, theory, and so on. In short, they prefer Chemerinsky or Cohen/Varat. There are benefits to taking that approach. But you must decide what you think is important for teaching con law and choose your casebook accordingly. The Brest et al. casebook does some of the best work of mixing constitutional law with constitutional history, for instance, and both Gunther/Sullivan and Stone/Seidman/et al. are terrific on references to other cases and to theoretical discussions. Figure out who you are and what you want out of the course before you select a book -- and then live with the inevitable student complaints. As a Chemerinsky-related addendum, most students love his treatise, and for good reason. But please remind them that it's their job to learn your course as you see it, not as he sees it, and that his treatise, although fair, certainly has a point of view. 5) In your beginning lies your ending. In keeping with the eternal return of standard themes in constitutional law, you should figure out what themes or issues or explanations you think tie together the constitutional law course, and bring them up early and often. Con law students read a lot of cases and many of them can seem disparate. It's up to you to impose some order on the material so that your students are engaged in a process of cumulative learning and can see how one case and one theme relates to the next across different areas. Choose a starting point that reflects this. I have found for the past two years that Heller, although overemphasizing history for my purposes, is a good introduction to many of the issues we touch on in my course. I then turn to the Articles of Confederation and the constitutional text itself. Please, please devote at least one class session to the constitutional text, if for no other reason than to point out occasionally how little of the rest of the course has anything to do with it. 6) Beating up John Marshall is not an effective use of class time. Of course, the starting point for many con law classes is Marbury v. Madison, and for years a debate has raged among con law professors about whether that case ought to be taught at all. There are obvious reasons to teach it, but really I blame William Van Alstyne, whose article on Marbury is an invaluable lifeline and must-read resource for con law professors teaching Marbury for the first (or third or fourth) time. Despite subsequent work calling into question some of his premises (see, e.g, Pfander's work), Van Alstyne still provides a perceptive and helpful guide to the many problems with Marbury. It can be fun, especially for an insecure beginning con law teacher, to spend a class session or more using Van Alstyne to beat up on the problems and inconsistencies with Marshal's opinion. There's something confidence-building about this exercise, for students but especially for new teachers. But it takes up a lot of class time, and it's not clear to me anymore that it's worth it. Among other things, it risks missing the forest for the trees: seeing what's lousy about Marbury and not what's great (or terrible) about it. I'm not saying (yet) not to teach Marbury, but don't let it define your course or swallow your time. And remind students that any exam answer that discusses Marbury is probably a canned answer and a waste of everyone's time. At this point, I think we can take judicial review for granted, more or less. 7) Rights are boring. Many constitutional law scholars got into the field so they could write about individual rights. I certainly did. But it turns out that, at least in my view, the rights cases are slightly more exciting to teach than stereo instructions. I recall early on in my teaching career talking to a colleague who was teaching Lawrence v. Texas and described quickly running into a point where he felt there was little of value to say; he might just as well have thrown up his hands and walked out of class. I appreciate that point a lot more several years later. The structure cases are where it's at, at least from a teaching perspective. Don't slight them. And don't treat them as distinct from the rights cases -- in many respects they raise the same issues, and of course are themselves at a meta-level about rights too. If the rights cases are interesting at all, they may be most interesting as occasions to discuss the capacities and limits of courts, not for broader discussions about what individual rights we ought to enjoy or about contested issues of personal liberty. In a short-form con law course, consider teaching fewer rights cases, and skipping the First Amendment altogether. 8) Teach arguments, not results. Law students often believe that they are learning what tort or contract law "is" in their other courses. I doubt they're right. In any event, con law is less about learning particular results than it is about learning methods of acceptable constitutional argument -- the difference between forms of argument that will be accepted in court and those that will be ignored or laughed out of court. That lesson should start from day one of your class. Whether you're talking about formalism vs. functionalism or about Bobbitt's modalities of constitutional argument, what you're teaching is how students can use existing methods and lines of argument to frame ideas and desired results in a way the courts will understand and incorporate. The results are strictly secondary. I think that is more true in the other courses than they realize, but it is certainly true for con law. 9) Pre-Lopez matters. When I learned constitutional law (from the great Professor Louis Henkin), the story of congressional power was a simple morality tale that focused on the pre-New Deal era and ended in the triumph of flexibility and expanded constitutional power, with everyone joining hands and dancing in a circle. Lopez purported to ruin that narrative, in emphasis if not in reality. The pre-1995 cases are ever more compressed in the casebooks. But it's difficult to understand what goes in in Lopez and the cases following it unless you understand what went on before them (again, constitutional law is fundamentally the story of the eternal return). That's especially true because, most of the time, the law that decides a Commerce Clause case will only nominally be about Lopez; really, it will be about New Deal-era precedents and premises. Alison Eid has a lovely article on why the pre-Lopez cases matter, and I urge you to read it and recommend it to students. Another thing I'll say about the Lopez and post-Lopez cases is that law students often want to see Lopez as announcing a sharp four-part test (once you get to the substantial effects portion, at least) that is as firm as anything they learn in their private law courses, something they can apply mechanically. This can lead to a false sense of security and fairly absurd results on exams. All law is about learning some practical judgment in applying doctrine, and the Commerce Clause is no different. Caution your students against the idea that Lopez gives them a test they can apply mechanically, and advise them to see it as being as much about attitudes (and signaling to Congress) as it is about specifics. Finally, the Commerce Clause materials are just the beginning of a long set of cases dealing in broad terms with the question how many escape hatches Congress has for unfettered lawmaking, and whether and how much the Court is willing to close off those escape hatches. By the time they get through the CC, the Tenth Amendment cases, the Spending Clause (especially the Spending Clause! ), the Eleventh Amendment, and then finally the congruence and proportionality cases, they ought to be thinking about all of these cases as pieces of one puzzle. There ought to be a "Prestige" moment (viz. the Christopher Nolan movie) where all of these pieces come together and the broader outline of what is going on becomes clear. John Noonan's book on these subjects, despite whatever flaws it may have, remains useful in guiding you in this endeavor. 10) There are three branches, not one. Again in keeping with law students' path-dependence and desire for doctrinal certainty, the tendency is for law students to focus on what is going on in the courts. This has ruined many a student's study of separation of powers, in particular; case-focused separation of powers teaching just doesn't work that well. Students should be aware just how much constitutional law takes place outside the courts and just how many areas of constitutional law are unlikely ever to be seriously or usefully discussed by the courts. If they have absorbed some of the basic themes of the course, they ought to be comfortable applying those themes to any con law issue, including those that arise outside the courts (although it is not clear that methodologies developed for use by courts are necessarily the best or only methodologies to use outside the courts). And they ought to develop some sense of how courts -- and other branches -- are likely to respond to these issues: in an iterated series of relationships with and messages to each other, a series of near-confrontations that never quite end up in an actual judicial opinion, let alone resolution. Although I betray my generally non-textualist and non-originalist views here, students ought to be comfortable with thinking of the Constitution not in terms of what it says in absolute terms, but what it sets in motion. Nor need they stop at the three branches! Constitutional law also takes place elsewhere -- in public debate, in the role of mediating institutions, and in other places. 11) Your students are probably more libertarian than you are (the usual suspects excepted). Unless your name is Ilya or Randy, I'm guessing your students will take a more libertarian approach to constitutional law than you do. It may be a generational thing or a regional thing, although I've taught in many parts of the country. But it does seem true to me. Certainly most law students don't resemble my classmates at Columbia in the early 90s, who had fairly conventional triumphalist views about state (by which I mean federal) power; nor do they resemble the standard caricature of students arguing in rights cases on a liberal-vs.-conservative line, ie. pro- or anti-affirmative action. I have no particular problem with those politics, and it always makes Wickard fun to teach. But it can also sap the life out of the class. If the answer to everything is always "no," or always "yes" for that matter, the discussion doesn't really fully come to life. Happily if inconsistently, many of your libertarian students will also be populists and semi-judicial skeptics. They need not think that the government ought to be able to do everything or that it ought to do anything in particular. But they should be encouraged to think about the law in terms of "who decides" -- the courts, the duly elected legislatures, "the people" (whatever that means), and so on. Outcomes, again, are boring. Who gets to determine those outcomes, why, and on what absolute or comparative basis, is much more interesting, and those questions need not break down in terms of libertarian views or their alternatives. I hope this is helpful for new con law teachers. Additions, reservations, praise and criticism are all welcome. For what little it's worth, feel free to contact me if you're starting to teach con law and have further questions. As one of those brand-new con law professors, I'll say a big thank you for all of the opinionated views, in both Paul's post and in the responses (and in the responses to come). Having never taught the course before, I'm certainly not going to pretend to offer advice. But I did want to add to the mix of discussion one other textbook: Maggs/Smith, brand-new in 2009. It's got upsides and downsides like any of the others, of course. But they've done something interesting with the physical layout: in addition to formatting that seems comparatively easy to read, they've interspersed little text boxes inside the cases themselves, with something like mini-notes. To me, the text boxes seem like they might increase the chance that students think about various aspects of the cases as they're reading, rather than processing the words in order to get through the material and thinking about the cases later (or not at all). As someone who hopes to teach this subject one day, I truly enjoyed this article. BTW, I would be honored if any Con Law professors could email me with some advice on how to break into the "business." Great post, Paul. FWIW, I would encourage new Con Law teachers to consider Barnett's new-ish book - it's organized chronologically, which I like, and unburdened by wandering notes. As for a theme-for me, it is "who decides?" Thanks for this! Here’s a follow up on Howard’s comment which also, I think, provides a further answer to concern # 3 (and also to the concerns about the amorphous nature of Con Law in points # 1 an 2). As much fun as it is to imagine oneself offering one’s constitutional analysis on novel questions to Supreme Court justices, that’s not always what the situation a lawyer will find herself in when doing constitutional law. They might instead be addressing a lower court judge, who has somewhat less freedom to reshape the law than do Supreme Court justices. Or they might be advising a client who is not a lawyer and has only the vaguest idea of when someone has standing to sue, or of what kinds of speech or symbolic expression a city government can restrict and in what circumstances. In these situations, the constitutional questions the lawyer addresses might be more straightforward, perhaps because the Supreme Court has already gotten to them. For example, while most non-lawyers in the U.S. know that the constitution protects freedom of speech, few of them have heard of public forum doctrine (I had no inkling of its existence before law school) and thus they might have questions for lawyers that are hard questions for them but should, under existing precedent, be relatively easy cases for attorneys, who should be able to make a decent prediction about how the case will come out regardless of a judge’s political leanings (e.g., whether a judge is conservative or liberal, a city street will almost certainly count as a traditional public forum, and be subject to the rules that apply to speech restrictions in that type of government property). Also, I’m certainly with you on not slighting structure cases, and I wouldn’t mind teaching fewer rights cases, I’d try to avoid leaving students with the impression that that’s because their pre-law school sense about rights cases is generally good enough for the job. On the contrary, one of the challenges in teaching Con Law is that, while some students have learned more about it from newspaper reading before law school than they have about, say, torts law, some of this pre-law school learning may give them a distorted view of an important area of constitutional law. That was my own experience as a law student when learning First Amendment law, and is a major reason I’d probably resist skipping the First Amendment altogether: Having grown up reading about cases like the Skokie case in the newspapers, I had a tendency to view First Amendment free speech as a fairly straightforward issue (which, in most cases, prevented the government from imposing any restrictions on speech). The complexity of free speech law surprised me and I’d worry about students leaving law school without getting at least a good taste of that complexity (and the contrast between it and the pre-law school picture they might be coming in with). A conversation with a colleague about Supreme Court review panel suggests you can link # 3 and # 5. If students start to get too cynical ("Heller came out this way because John Roberts likes guns"), put them in the position of having to make an argument to a court. Clearly, they cannot get up and say "The law should be struck down because you like guns, Chief Justice Roberts;" they are going to have to make arguments. That becomes the focus.